Please join us for an exciting, online open house to learn about the rewarding teaching opportunities with Manhattan Prep. We are seeking expert teachers throughout the US who have proven their mastery of the GMAT, GRE or LSAT and who can engage students of all ability levels. Our instructors teach in classroom and one-on-one settings, both in-person and online. We provide extensive, paid training and a full suite of print and digital instructional materials. Moreover, we encourage the development and expression of unique teaching styles..
All Manhattan Prep instructors earn $100/hour for teaching and tutoring – up to four times the industry standard. These are part-time positions with flexible hours. Many of our instructors maintain full-time positions, engage in entrepreneurial endeavors, or pursue advanced degrees concurrently while teaching for Manhattan Prep. (To learn more about our exceptional instructors, read their bios or view this short video. Learn about how to transform your passion for teaching into a lucrative and fulfilling part-time career by joining us for this Online Open House event! 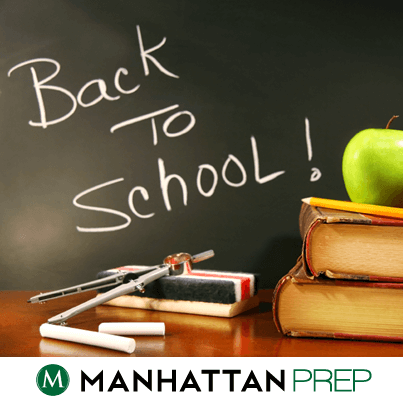 Manhattan Prep is a premier test-preparation company serving students and young professionals studying for the GMAT (business school), LSAT (law school), GRE (master’s and PhD programs), and SAT (undergraduate programs). We are the leading provider of GMAT prep in the world. Manhattan Prep conducts in-person classes and private instruction across the United States, Canada, and England. Our online courses are available worldwide, and our acclaimed Strategy Guides are available at Barnes & Noble and Amazon. In addition, Manhattan Prep serves an impressive roster of corporate clients, including many Fortune 500 companies. For more information, visit www.manhattanprep.com. Hopefully there are a lot of GRE words you learned in school – particularly because lots of GRE words come from literature, science, mathematics, music and art, and foreign languages. You probably even studied many of them when and if you studied for the SAT and ACT. But some GRE vocab words aren’t learned in the school curriculum, but in the language of school itself. Here are fifteen words whose content is related to school. (1) Expel. Most of us know the word “expel” in terms of school – the greatest threat a school has to offer is to expel you, or kick you out. That’s the context in which we’re used to hearing “expel”, but it could apply any time someone is deprived of his or her membership or even anytime something is removed, gotten rid of, or thrown out. You can expel a gum wrapper from your car window, or expel a drunkard from a bar, for example. (2) Punctuate. You probably remember learning about punctuation, marks such as commas or periods that you put within text. So yes, to punctuate something means to add punctuation to it. But it also means to occur at intervals throughout a period of time, or to be peppered with. For example, US history has been punctuated by the passing of Constitutional amendments. They happen sometimes, and when they do, they interrupt or change the course of history. Someone’s speech can be punctuated with curse words, or someone’s life can be punctuated by bad break-ups. (3) Tardy. “Tardy” is a word I’ve never heard used outside of a school setting. My high school, and all other high schools I know of, didn’t mark you “late”: they marked you “tardy”. Tardy means delayed or late, but it’s not just students who can be tardy. You can send a tardy reply to an email, or a bus can make a tardy arrival at the bus stop. (4) Valediction. Most of us know that the valedictorian is the student with the best GPA, but that’s sort of a coincidence. That student is not called the valedictorian because he or she has the best grades – he or she is called the valedictorian because he or she gives the valedictory, or valediction, at the graduation ceremony (and is chosen for that job because of his or her good grades). So what’s a valediction? That “diction” root should tell you it has something to do with speech, and it does – it’s a saying of goodbye. The valediction speech at graduation is a spoken goodbye to high school. So if you wave to someone in valediction, for example, you’re waving goodbye. Have you ever gotten a GRE question wrong because you thought you were supposed to take a square root and get two different numbers but the answer key said only the positive root counted? Alternatively, have you ever gotten one wrong because you took the square root and wrote down just the positive root but the answer key said that, this time, both the positive and the negative root counted? What’s going on here? There are a couple of rules we need to keep straight in terms of how standardized tests (including the GRE) deal with square roots. The Official Guide does detail these rules, but enough students have found the explanation confusing – and have complained to us about it – that we decided to write an article to clear everything up. Doesn’t the OG say that we’re only supposed to take the positive root? Translation: when there’s a square root symbol given with an actual number underneath it – not a variable – then we should take only the positive root. This is confusing because, although they’re not talking about variables, they use the letter n in the example. In this instance, even though they use the letter n, they define n as a “nonnegative number” – that is, they have already removed the possibility that n could be negative, so n is not really a variable. If I ask you for the value of √9, then the answer is 3, but not -3. That leads us to our first rule. If the problem gives you an actual number below that square root symbol, then take only the positive root. Note that there are no variables in that rule. Let’s insert one: √9 = x. What is x? In this case, x = 3, because whenever we take the square root of an actual number, we take only the positive root; the rule doesn’t change. Okay, what if I change the problem to this: √x = 3. Now what is x? In this case, x = 9, but not -9. How do we know? Try plugging the actual number back into the problem. √9 does equal 3. What does √-9 equal? Nothing – we’re not allowed to have negative signs underneath square root signs, so √-9 doesn’t work. Just as an aside, if the test did want us to take the negative root of some positive number under a square root sign, they’d give us this: -√9. First, we’d take the square root of 9 to get 3 and then that negative sign would still be hanging out there. Voilà! We have -3. What else does the OG say? Here’s the second source of confusion on this topic in the OG. On the same page of the book (212), right after the quotes that I gave up above, we have a table showing various rules and examples, and these rules seem to support the idea that we should always take the positive root and only the positive root. Note something very important though: the table is introduced with the text “where a > 0 and b > 0.” In other words, everything in the table is only true when we already know that the numbers are positive! In that case, of course we only want to take the positive values! What if we don’t already know that the numbers in question are positive? That brings us to our second and third rules. How are things different in this example? We no longer have a square root sign – here, we’re dealing with an exponent. If we square the number 3, we get 9. If we square the number -3, we also get 9. Therefore, both numbers are possible values for x, because both make the equation true. Mathematically, we would say that x = 3 or x = -3. If you’re doing a Quantitative Comparison problem, think of it this way: either one is a possible value for x, so both have to be considered possible values when comparing Quantity A to Quantity B. Okay, we’re back to our square root sign, but we also have an exponent this time! Now what? Do we take only the positive root, because we have a square root sign? Or do we take both positive and negative roots, because we have an exponent? First, solve for the value of x: square both sides of √(x)2 = 3 to get x2 = 9. Take the square root to get x = 3, x = -3 (as in our rule #2). If you’re not sure that rule #2 (take both roots) should apply, try plugging the two numbers into the given equation, √x2 = 3, and see whether they make the equation true. If we plug 3 into the equation √x2 = 3, we get: √(3)2 = 3. Is this true? Yes: √(3)2 = √9 and that does indeed equal 3. Now, try plugging -3 into the equation: √(-3)2= 3. 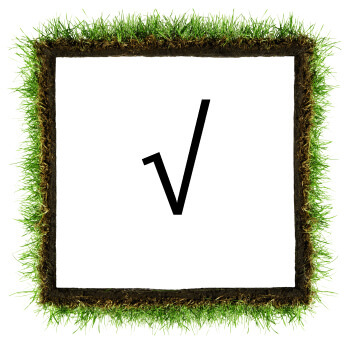 We have a negative under the square root sign, but we also have parentheses with an exponent. Follow the order of operations: square the number first to get √9. No more negative number under the exponent! Finishing off the problem, we get √9 and once again that does equal 3, so -3 is also a possible value for x. The variable x could equal 3 or -3. How am I going to remember all that? Notice something: the first example has either a real number or a plain variable (no exponent) under the square root sign. In both circumstances, we solve only for the positive value of the root, not the negative one. The second and third examples both include an exponent. Our second rule doesn’t include any square root symbol at all – if we have only exponents, no roots at all, then we can have both positive and negative roots. Our third rule does have a square root symbol, but it also has an exponent. In cases like this, we have to check the math just as we did in the above example. First, we solve for both solutions and then we plug both back into the original equation. Any answer that “works,” or gives us a “true” equation, is a valid possible solution. (1) If there is an actual number shown under a square root sign, then take only the positive root. (2) If, on the other hand, there are variables and exponents involved, be careful. If you have only exponents and no square root sign, then take both roots. If you have both an exponent and a square root sign, you’ll have to do the math to see, but there’s still a good chance that both the positive and negative roots will be valid. (3) If you’re not sure whether to include the negative root, try plugging it back into the original to see whether it produces a “true” answer (such as √(-3)2 = 3) or an “invalid” situation (such as √-9, which doesn’t equal any real number). * The text excerpted above from The Official Guide to the GRE 2nd Edition is copyright ETS. The short excerpts are quoted under fair-use statutes for scholarly or journalistic work; use of these excerpts does not imply endorsement of this article by ETS.